This is the main silsila/sanad. In teachings, muraqaba and zikr, etc. 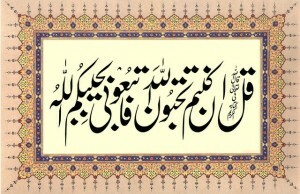 instructions are according to the mashaykh of this order. However, as Ashrafiya silsila is comprehensive of the four major sufi orders. There is sanad/silsila for Qadiri, Naqshbandi and Suharwardy orders (& sub-orders) also available. This entry was posted in Q. Akabir on December 14, 2004 by 'abd.